Product prices and availability are accurate as of 2019-04-20 04:40:57 UTC and are subject to change. Any price and availability information displayed on http://www.amazon.com/ at the time of purchase will apply to the purchase of this product. 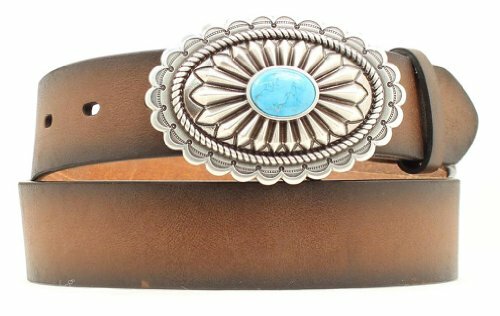 This ladies Ariat belt by M&F Western Products has simple elegance. 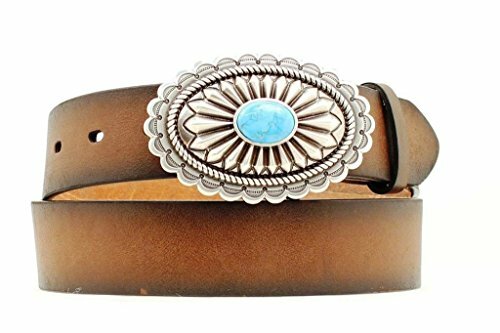 Beautiful silver buckle with turquoise colored stone in center for an eye-catching look. Perfect belt to wear when you are dressed up or great with your favorite pair of jeans. This silver scalloped belt is accentuated with a lovely turquoise embellished stone in the middle of the buckle. On a brown distressed belt.